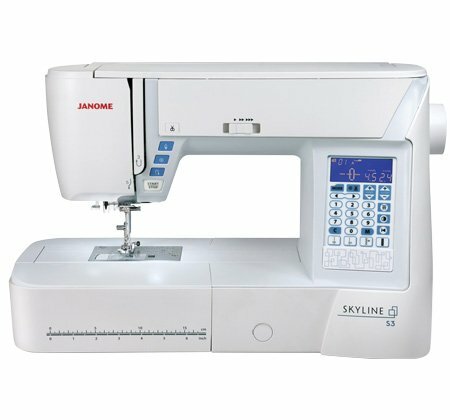 Janome's Superior Feed System Plus features a 7-piece feed dog to ensure that even the thickest, multi-layer projects are able to move under the needle with precision and ease. The Skyline S3's patented needle placement accuracy includes special plate markings that indicate needle drop position, provide angle marks and act as front-of-the-foot guides. In addition, the needle can be moved into 71 unique positions in order to get pinpoint accuracy for decorative stitching, applique and free-motion quilting.